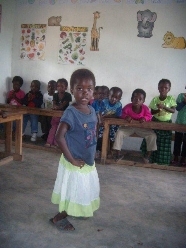 Alice, a student in Joy's class, dances to the popular Genki song "Left and Right." 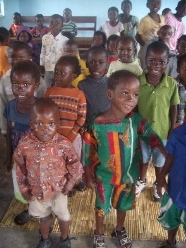 The song is becoming popular even with the new students who just joined the Living Compassion Family. 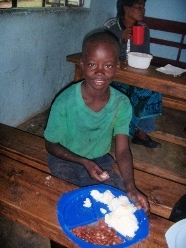 Leonard enjoying lunch at the property after classes at government school. He is now in Grade 2. Beatrice's son Purpose enjoys his meal at the property. 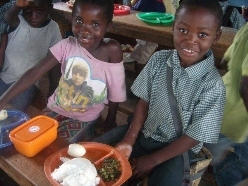 He is now in Grade 3 and would like to be a teacher when he grows up. Showing how it is done, Esnart demonstrates to the other students how to count up to 20. 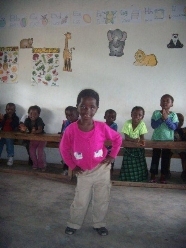 Standing up, the students in Susan's class greet their teacher. 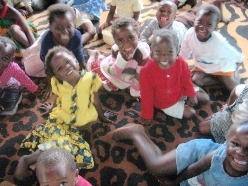 The little new students are learning each day at the property. 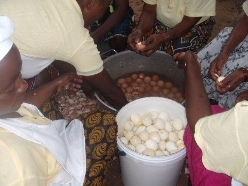 The ladies prepare the eggs for lunch at the property. The rains suddenly started after a long dry spell. 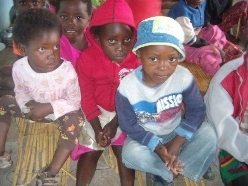 It was cold for the little ones and their parents had to dress them in warm clothing. 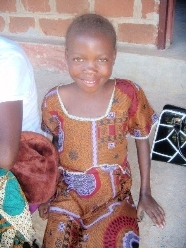 Andrea's daughter Dorcas, who has been sick for some time, is now doing better and is able to go to school. She was in hospital for a month with diabetes. Baby class. Always naughty and always smiling for the camera. Cute faces! 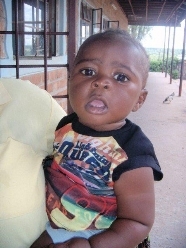 Brenda's son has grown into a cute little boy. Soon he too will be a student at Living Compassion. 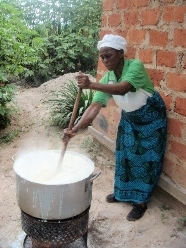 Christine stirring the nshima outside the new kitchen building. 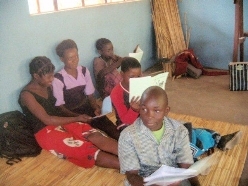 In the library at the property, students reading with teacher Beatrice (not in photo). 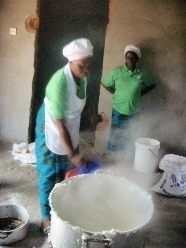 Nshima is almost ready and Martha dishes it out while Ruth looks on. So fast they grow! 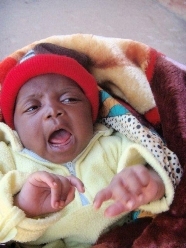 This is Audria's daughter Chola who is a month old. 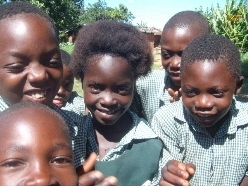 Some of the Living Compassion students who are doing their end of term tests, at the property while they wait for their lunch. 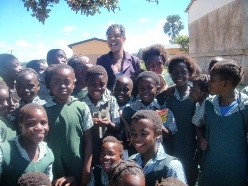 Some of the next new 50 students pose with their teacher Miss Tuse at Twatemwa Primary School. The teachers showing off their new uniforms outside their classrooms at the property.